We supply sisal twine/cord/string in 2 and 3 ply spools or balls. We are one of the UK's leading sisal twine suppliers. 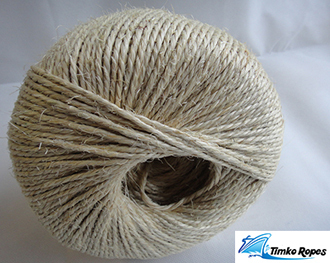 The sisal twine come's in 2.5kg spools in various diameters such as 2mm, 4mm & 6mm. The lengths are 375m, 500m & 750m long. So whether you are looking for a thin or thick sisal twine we are very competitvely priced and are confident that you can find a cheap sisal twine suited to your needs. 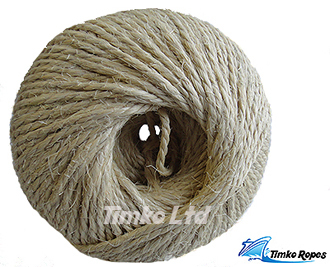 Sisal twine can be used for tying parcels (parcel twine), securing boxes and lots of other uses. 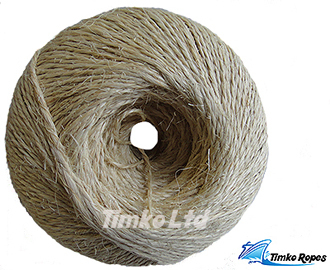 It is a strong natural fibre twine.